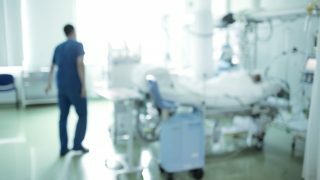 A new guide on stress for NHS workers, produced by the NHS Staff Council, has linked the “unprecedented levels of change” the NHS have undergone in recent years to cases of stress and bullying. It also highlighted the risks of redundancy, down-banding and privastisation of NHS services as stress factors. Last week was European Health and Safety week, when the theme was “healthy workplaces manage stress. 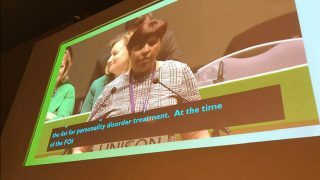 It also coinciced with a new UNISON stress guide which also highlighted the link between job insecurity and bullying to increased stress levels. In a recent survey of UNISON safety activists, 90% of respondents said that stress was one of the top health and safety concerns in their workplace. 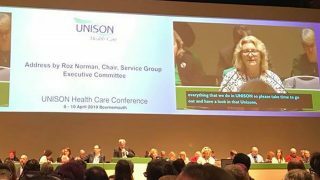 “Both these publications confirm what our members have been telling us in recent years,” said UNISON national secretary for health Christine McAnea. “The cuts and privatisation of services have put intolerable pressure on our members. 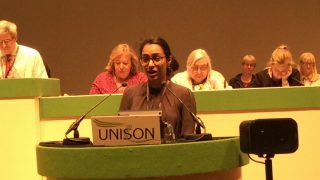 “All this comes at a time when the government is attacking the pay, terms and conditions of our members and ignoring the recommendations of the independent pay review body.